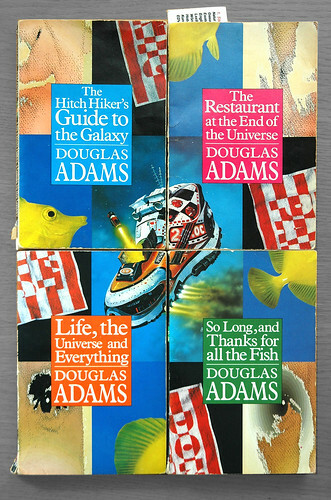 Happy birthday to Douglas Adams (11 March, 1952 – 11 May, 2001)! It is amazing, isn't it? How time flies. His birthday is mentioned on the writer's almanac! I need to make a post, meself! Btw, the link to the Frankenstein post is broken? So sorry - I think there was an error. D'Oh! The new link should work, though. Thanks so much for the heads up! It does. Glad to be of help! He is indeed. One of a kind!